Paul Joseph Weitz (July 25, 1932 – October 22, 2017) was an American naval officer and aviator, aeronautical engineer, test pilot, and NASA astronaut, who flew into space twice. He was a member of the three-man crew who flew on Skylab 2, the first manned Skylab mission. He was also Commander of the STS-6 mission, the first of the Space Shuttle Challenger flights. Paul J. Weitz was born in 1932 in Erie, Pennsylvania, United States. He went on to complete a master's degree in engineering and was a pilot in the Navy. He went on to be an astronaut that went in to space aboard Skylab and the Space Shuttle, later serving as a NASA official. Weitz was born in Erie, Pennsylvania, on July 25, 1932. He graduated from Harbor Creek High School in Harborcreek, Pennsylvania, in 1950. The high school stadium was later named after him. He received a Bachelor of Science degree in Aeronautical Engineering from Pennsylvania State University in 1954. While attending Penn State, he was a member of the Alpha Upsilon Chapter of Beta Theta Pi. Ten years later, he received a Master of Science degree in Aeronautical Engineering from the U.S. Naval Postgraduate School in Monterey, California. Weitz received his commission as an Ensign through the Naval ROTC program at Penn State. He served for one year at sea aboard a destroyer before going to flight training and was awarded his aviator wings in September 1956. He served in various naval aircraft squadrons until he was selected as an astronaut in 1966. He logged more than 7,700 hours flying time — 6,400 hours in jet aircraft. In April 1966, Weitz was one of 19 men selected by NASA for Astronaut Group 5. He served as Pilot on the crew of Skylab 2 (SL-2), which launched on May 25 and splashed down on June 22, 1973. SL-2 was the first manned Skylab mission. The mission lasted for 28 days, a record at the time. 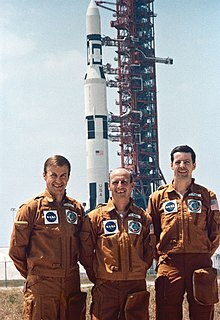 Weitz and his two crewmates, Pete Conrad and Joseph P. Kerwin, performed extensive and unprecedented repairs to serious damage that Skylab sustained during its unmanned launch, salvaging the entire Skylab mission. Weitz logged two hours and 11 minutes of EVA during the mission. If NASA followed typical crew rotations, Weitz may have been assigned as the Command Module Pilot for the canceled Apollo 20 mission. In 1976 Weitz retired from NASA and went back the Navy, but he returned to NASA to fly the maiden spaceflight of the Challenger at over 50 years old. Weitz was spacecraft commander on the crew of STS-6, which launched from Kennedy Space Center, Florida, on April 4, 1983. This was the maiden voyage of the orbiter Challenger. During the mission, the crew conducted numerous experiments in materials processing, recorded lightning activities, deployed IUS/TDRS-A, conducted extravehicular activity while testing a variety of support systems and equipment in preparation for future space walks, and also carried three Getaway Specials. Mission duration was 120 hours before Challenger landed on a concrete runway at Edwards Air Force Base, California, on April 9, 1983. With the completion of this flight, Weitz logged a total of 793 hours in space. Weitz was Deputy Director of the Johnson Space Center when he retired from NASA in May 1994. Weitz married the former Suzanne M. Berry of Harborcreek, Pennsylvania. They had two children — Matthew, and Cynthia. Hunting and fishing were among his hobbies. After retiring, Weitz lived in Arizona until his death on October 22, 2017 from myelodysplastic syndrome at the age of 85. The three Skylab astronaut crews were awarded the 1973 Robert J. Collier Trophy "For proving beyond question the value of man in future explorations of space and the production of data of benefit to all the people on Earth." Gerald Carr accepted the 1975 Dr. Robert H. Goddard Memorial Trophy from President Ford, awarded to the Skylab astronauts. He was one of 24 Apollo astronauts who were inducted into the U.S. Astronaut Hall of Fame in 1997. This article incorporates public domain material from the National Aeronautics and Space Administration website https://www.jsc.nasa.gov/Bios/htmlbios/weitz-pj.html. ^ Rincon, Paul (2017-10-24). "First Challenger shuttle commander dies". BBC News. Retrieved 2017-10-27. ^ a b c d e f g h i j k l m n o p q r s t "Paul J. Weitz". NASA JSC. Retrieved May 30, 2017. ^ a b c Bruce, David (October 24, 2017). "Erie County Astronaut Paul Weitz Dies at 85". Aviation Pros. Retrieved January 9, 2017. ^ "Apollo 18 through 20 - The Cancelled Missions", Dr. David R. Williams, NASA, accessed January 9, 2018. ^ "Challenger, Skylab astronaut Paul Weitz dies at 85". WDIV. 2017-10-24. Archived from the original on 2017-10-27. Retrieved 2017-10-26. ^ Bruce, David (Oct 23, 2017). "Erie County astronaut Paul Weitz dies at 85". goerie.com. Retrieved Oct 23, 2017. ^ Schudel, Matt (October 24, 2017). "Paul Weitz, astronaut who helped repair Skylab and commanded space shuttle, dies at 85". The Washington Post. Archived from the original on 2017-10-25. Retrieved October 25, 2017. ^ a b c Canales, Christina (2017-10-25). "Skylab, Shuttle Astronaut Paul Weitz Dies at 85". NASA. Retrieved 2017-10-26. Wikimedia Commons has media related to Paul J. Weitz.